TRULY INCREDIBLE LOT LOCATED IN ONE OF AMARILLOS BEST KEPT SECRETS, THE FABULOUS RIVER FALLS DEVELOPMENT. THIS 2.583 ACRE ''LOWER RIM'' LOT IS ABSOLUTELY INCREDIBLE AND WILL NOT DISAPPOINT!!! 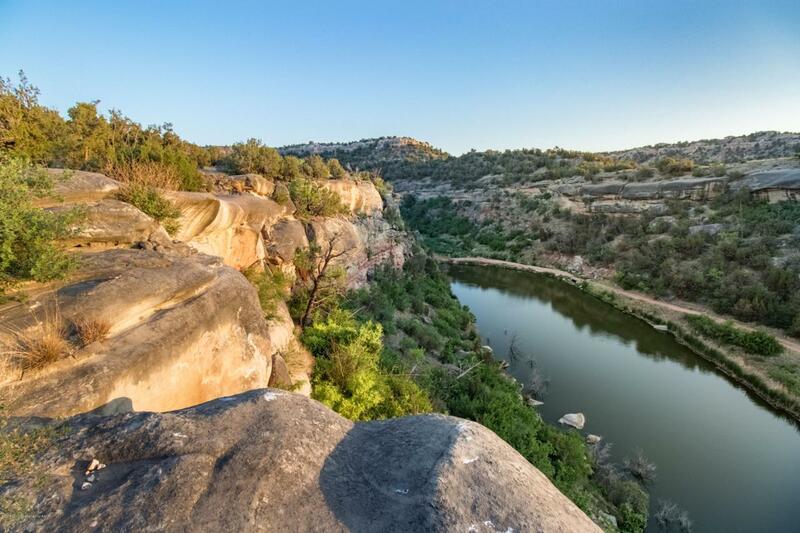 NOT ONLY DOES IT HAVE ONE OF THE BEST VIEWS OF THE STOCKED RAINBOW TROUT POND AND THE NORTH RIM OF PALO DURO CANYON, IT ALSO HAS ITS VERY OWN PRIVATE POND LOCATED INSIDE THE PROPERTY LINE. OWNERSHIP COMES WITH ACCESS TO THE 500 ACRE REFUGE, TROUT AND BASS WATERS, HORSEBACK RIDING, UTV AND ATV TRAILS AND SOME OF THE BEST VIEWS WITH-IN HUNDREDS OF MILES. DON'T MISS YOUR CHANCE TO BUILD YOUR ABSOLUTE DREAM HOME ON THIS FANTASTIC SITE! BESIDES YOU PROBABLY DESERVE IT!!! Listing provided courtesy of Douglas A. Campbell of French And Co., Realtors(R).